If you're holding a conference, you must be sure to advertise in order to attract participants. 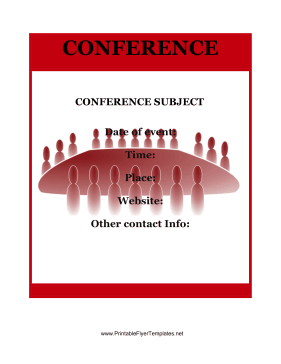 This flyer has a red theme and portrays a group of people seated around a conference table. This design is appropriate for any type of conference, and will be sure to inform potential attendees of the upcoming event.